What is the jewelry production order? Let's say your best seller is out of stock or you want it in a different color or plating. 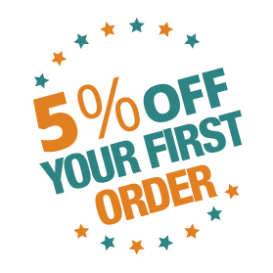 In such cases, you can order a specific product or have a product customized to your preference but there will be a minimum order and quantity. You must also allow a few weeks of production time and know that the production order pricing might be different from regular orders. Read more about production orders below. • For production orders, there's a minimum order of $4500. • Minimum quantity of production orders is 100 units per design/color/size. • Allow our jewelry supply manufacturers a production time of 8 to 10 weeks. • The price of the customization product might be different. • If you like to customize a product in a way not mentioned here, don't hesitate to make a request by telling us exactly what you want in the customization box. We will let you know if this is possible. • If for any reason, we are not able to proceed with a customization request, we will let you know by email. Go on the product page, product pop up, or view cart page. Write your request in the customization box and add the item to your cart. That's all. If you like to edit your request, you can do so by going back to the product page, pop up or view cart page. If there is a problem with the request or we cannot produce the requested item for any reason, we will get back to you as soon as possible. Let's say one specific necklace sells a lot in your store but there are only 20 items left in stock at our online shop. You just write us which item you want and our wholesale jewelry manufacturer will prepare it for you. • You can order an item in a different plating than the one we are currently providing. • You can order an item with epoxy in any epoxy hue or color combination you like. • You can order items with stones, crystals, or other gems in any color available. If an item features several stones, you can make your own color combinations. • You can order any item you want with a specific embellishment (crystal, unicorn, star & moon, pearl etc.) For example, you might like a necklace featuring a pearl but want this particular pearl on a ring. You put this necklace in your cart and write which ring you want in the customization box. Our silver rings manufacturers will take care of it. • The standard length of our necklaces is 45cm with no extension while bracelets are 16cm long with a 2cm extension. Let us know if you want different lengths. In short, we can manufacture any design you like or modify the existing designs to meet your style choices. If you need further info about this service, contact us.